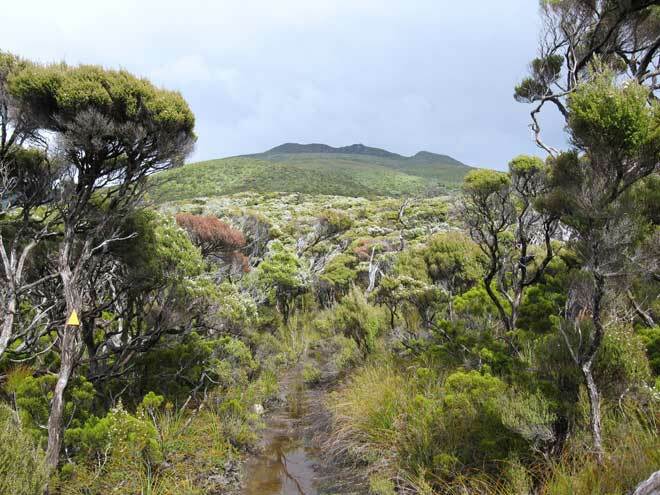 The subdued relief of the Stewart Island back country is in evidence in this photograph taken on the North-West Circuit, a track around the northern part of the island. Mt Anglem/Hananui (980 m) is in the background. The track is steep and often muddy, passing through mānuka and kānuka forest, as in the foreground of this photo, and scrub at higher altitudes.